He wrote "I think that a chimpanzee certainly has greater self-awareness than a newborn baby. There are some circumstances...when killing the newborn baby is not at all wrong... not like killing the chimpanzee would be. Maybe it's not wrong at all." 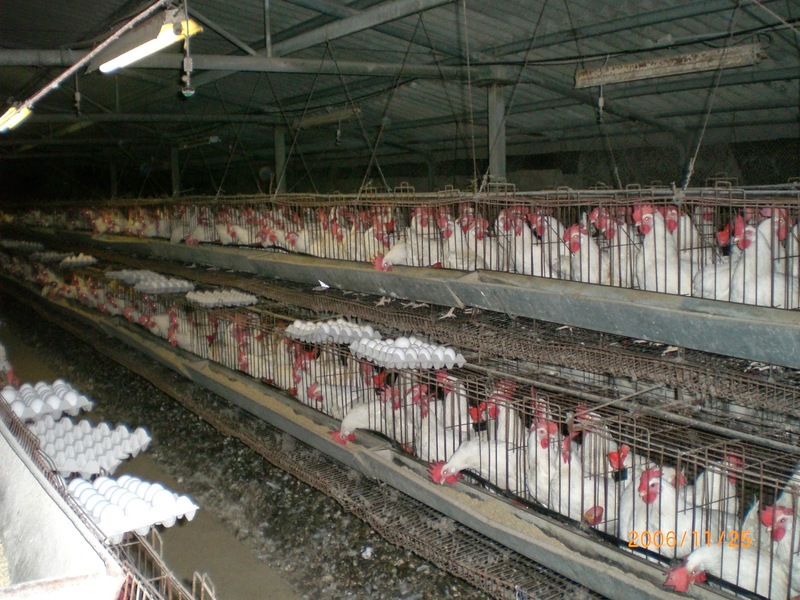 Well, Singer and coauthor Karen Dawn have just published an article in the L.A. Times opinion section comparing the slaughtering practices of chickens at KFC to the abuses of prisoners at the Abu Ghraib in Iraq. The commentary (which can be read here or here) Singer and Dawn describe some of the cruel treatment workers inflicted on the soon to be slaughtered poultry in a PETA released video. They then write "The sickening images echo the snapshots and videotapes that found their way out of another inhumane facility: Abu Ghraib prison in Iraq." I find it interesting that in this sentence they appeal to a specific dynamic of humanity - the understanding of cruelty and the responsibility to not to perpetrate acts that would be deemed "inhumane". It seems to me that this one phrase negates the basis of their argument that all biological species should be treated with equal worth. I mean, you never hear anyone criticizing the female Black Widow spider for killing and eating her mate! Singer and Dawn try to make the case that both instances the human who felt superior inflicted torture on the weaker victim. "In both Baghdad and Moorefield, W.Va., a simple cruel dynamic was at work. When humans have unchecked power over those they see as inferior, they may abuse it." While I believe that human beings have a responsibility to treat animals with respect and dignity as God's creation (see this article for more), I find the approach of Singer and others at PETA disgusting. If I were a victim of the Abu Ghraib abuse or a family member, I would be deeply offended that these people would be comparing my suffering to some slaughterhouse chickens. In fact, as a human being, I am deeply offended! Singer in this approach devalues human life to the point where he puts it on par with poultry. Contrary to protecting chickens, all Singer and Dawn have done is make human beings a disposable commodity. And that is an inhumane position. Singer's humans=poultry argument is not only inhumane, but it lays bare how self-stultifying his ethical paradigm is. He is willing to assert that killing a chimp is worse than killing a disabled infant because the chimp has a higher level of sentience. Simultaneously, as you have pointed out, he equates the slaughter of chickens with the torture of humans at Abu Ghraib. He uses sentience as a means of making moral distinctions in the first case, but completely ignores it in the latter. I'm assuming he does this because it is detrimental to his equation. Surely even Singer would admit that adult humans are more "self-aware" than your average chicken. Singer's ethics are utterly repugnant, but fortunately they are so obviously untenable that I doubt his perspective will ever find largescale acceptance. I like your blog -- keep up the good work!